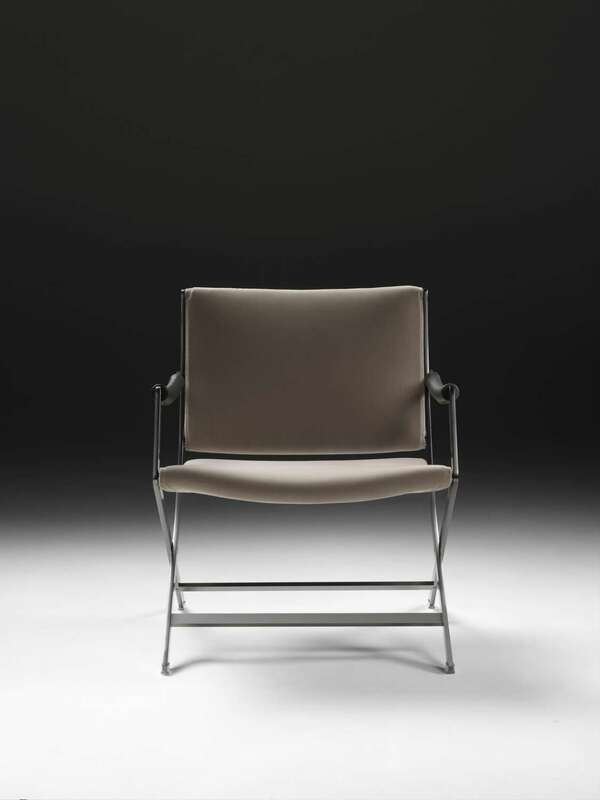 PAUL is an armchair with a metal structure. 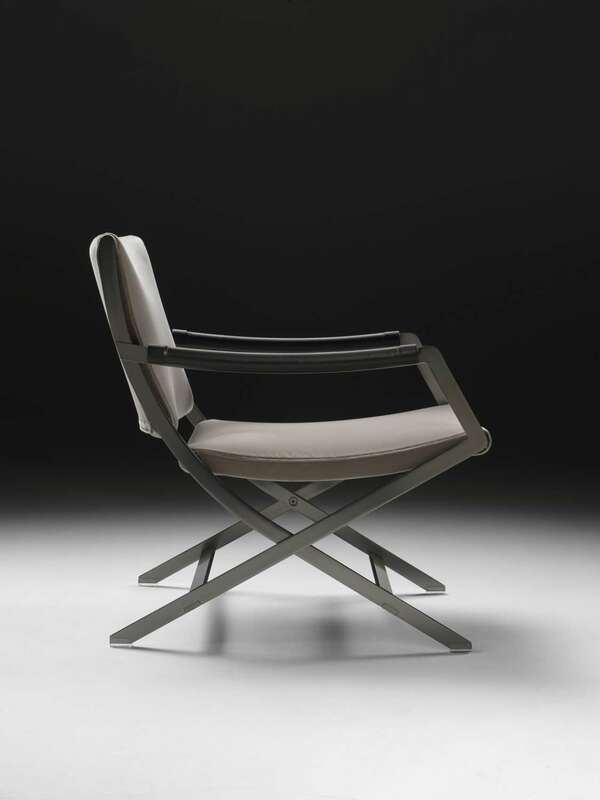 The seat and back are padded and covered in removable fabric or leather. 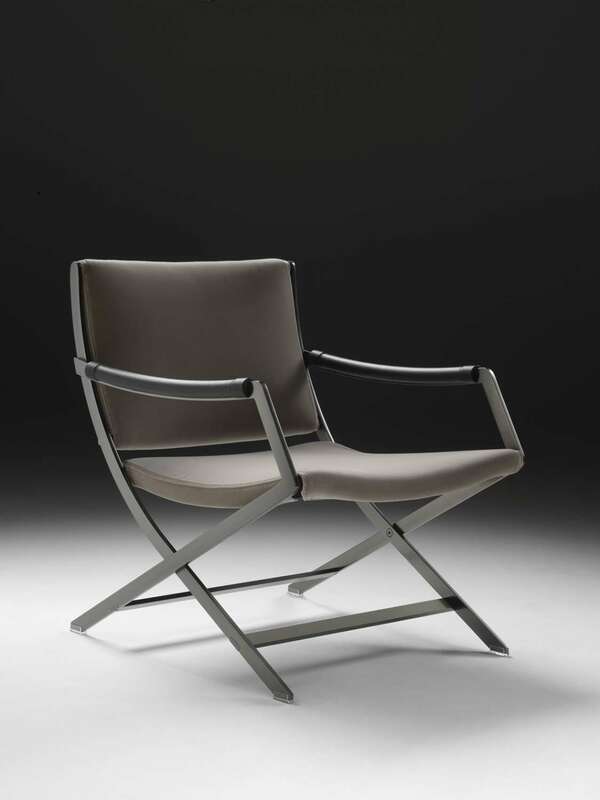 Seen from the side, the chair has a sinuous, curved silhouette, with crossed legs forming an X. The wooden armrest with a cowhide insert adds a decidedly chic touch.